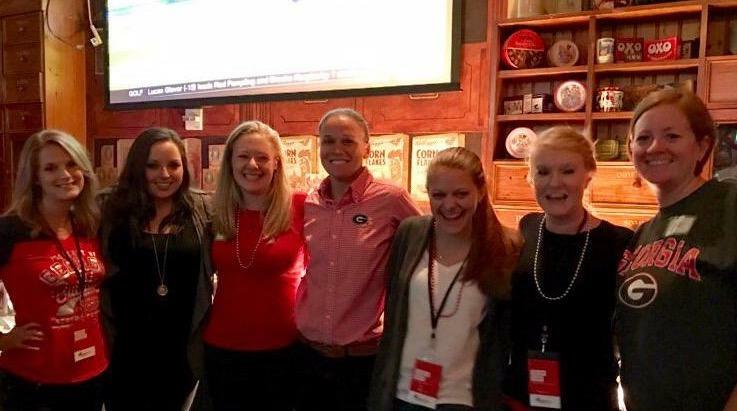 On a lovely Saturday evening, some of our NMI alumni family joined us at Fado Buckhead for UGA football, tasty food and plenty of catching up. It was great to see a few faces we hadn’t seen in a while and even better to hear how our Atlanta alums continue to put their new media skills to work. And the Dawgs came out on top, to boot! Needless to say, fun times were had by all! Keep an eye out for future events and GO DAWGS!